The Red Fish is a home design combining the kitchen and adjacent living areas into a single, large gathering space where family members and guests can interact during the entire course of a visit, not just during the sit-down meal. The home is efficient in its design, with 3 bedrooms and 2 complete baths upstairs and a half bath and ground floor utility room downstairs. The large covered porch gives friends and family another place to relax outdoors. 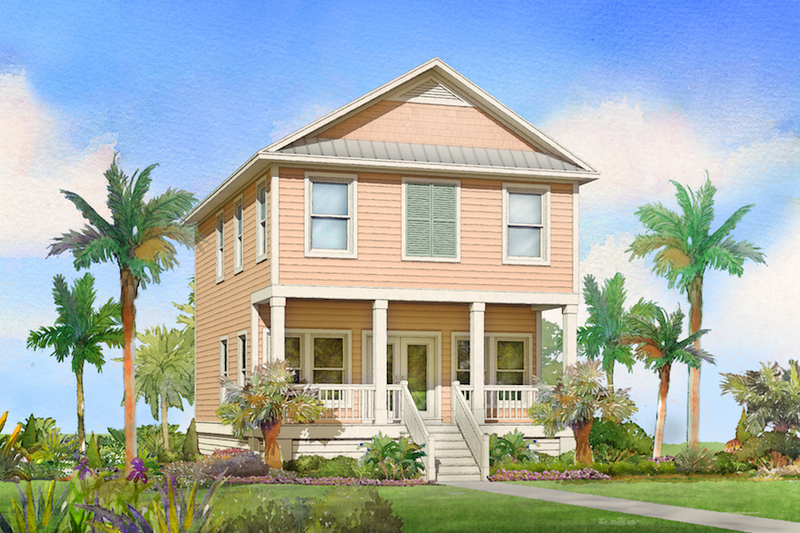 The small footprint makes this two story an economical choice for small lots.